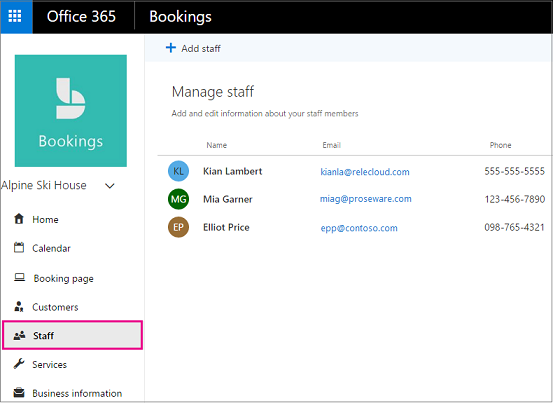 The Staff page in the Microsoft Bookings app is where you create your staffing list and manage staff member details such as name, phone number, and email address. You can also set working hours for each staff member from this part of the app. 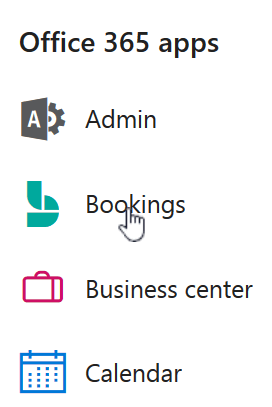 Although Bookings is a feature of Office 365, not all of your staff members are required to have an Office 365 account. All staff members should have a valid email address so they can receive bookings and schedule changes. Watch this video or follow the steps below to add your staff. In the navigation pane, select Staff. Select a color for the staff member, provide their initials, name, email address, and phone number. 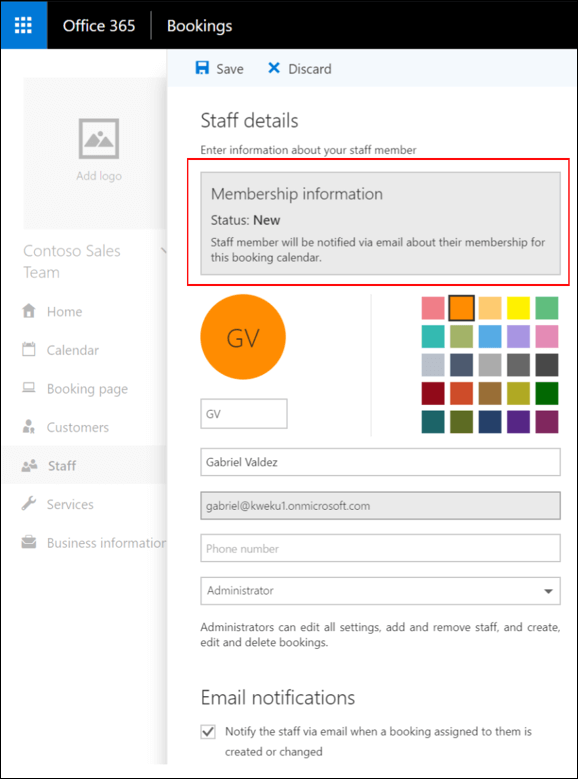 Note: When you add an employee in your organization as a staff member (as a guest, admin, or viewer), your employee will get an email letting them know that their availability may be shared, and that they could be booked through a booking page. Repeat steps 1 through 6 for each staff member.